GMO Evidence has today published The Yucatan Times’ breaking news regarding the death of 1500 bee colonies caused by the spraying of Monsanto’s Roundup on GM maize in an impoverished Mayan farming community in Mexico. The officials were called to discuss the authorities of Agriculture, Environment and the Interministerial Commission on Biosafety and Genetically Modified Organisms (Cibiogem), but did not attend the meeting of social organizations and visiting scientists. The two secretariats claimed that they had no position on the issue. Currently, there are thousands of hectares of experimental and pilot fields in Mexico contaminating transgenic maize fields. Cibiogem, is reported to have had a busy schedule and could not attend. In favor of GMO’s, Dr. Antonio Turrent, president of the Union of Scientists Committed to Society (www.uccs.mx) showed that transgenic maize is necessary to increase maize production in Mexico, and that the country has land conditions, water, seeds and diversity of public resources and technologies to meet all of Mexico’s current and future needs without jeopardizing economic independence, diversity, health or the environment, as implied by the GM. Dr. Turrent who recently published a study detailing these options. On the other hand, Peter Rosset, biologist and researcher, presented a list of papers published in refereed scientific journals, particularly a compilation of studies conducted in 2009 by scientists and Ioannis S. Dona Artemis Arvanitoyannis, indicating that GM crops are associated with toxic effects, hepatic, pancreatic, renal, reproductive and immune and blood disorders and cancer effects. He said the study by Dr. Séralini in France (2012), where it studied the Monsanto GM maize planted in 700,000 hectares in Mexico, caused cancer in rats. In this regard, Rosset said that since Mexico is a country that consumes more corn than any other country, and because of the risks that have been observed in several studies for years, recommended that Mexico does not expose the public to GM Maize. He said the risk is greater for children who will be most affected. He considers it urgent to apply the precautionary principle, and cancel the transgenic, for future generations. At the debate, the convening organizations, including urban, rural and students expressed their critical views on GMOs from their perspectives. They manifested their intent to stop the planting of GM maize and will continue through all struggles and will do all that they can to not allow the government to impose, against the interests of the vast majority of the population, GM Maize for the benefit of Government and a few multinationals. They agreed to promote further discussions, forums and activities, and strengthen the links between the organizations to avoid GM foods and crops. Also they will promote the widest possible participation in the pre-hearings on Corn and Food Sovereignty of the Permanent Peoples Tribunal, which among other topics will hold a pre-hearing of scientific evidence on GM and failures and corruption of the biosecurity system in the country. As an organic bee keeper in Maine with a science background, there are several problems with this story and I would like more answers. First of all corn in native to North America and there were NO honeybees in the Americas until the white man brought them here. Corn is pollinated by the wind not honeybees or even the native bumblebees. Roundup is a herbicide not a pesticide. Honeybees do not take nectar or pollen from corn. So, how did the hives die? 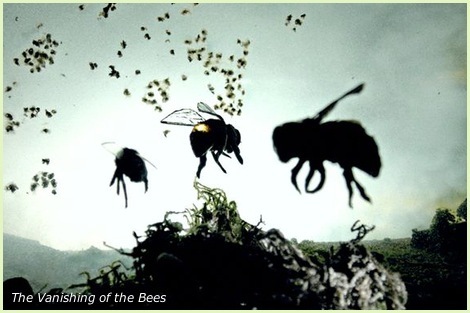 Was it really nicotinic acid which Monsanto also makes, which killed the bees? That is what all the bee keepers in other countries claim for colony collapse. Would someone tell me how roundup applied to corn fields killed bee hives? Seriously, none of the pertinent facts are in this article, so I would not believe a word until we get more. Also, hate to say it, roundup is sprayed on weeds to keep them from competing with the ’round up ready’ gmo corn. Roundup is an herbicide, not a fungicide. Tell me, what is this article trying to say other than Monsanto is bad, which I agree? Science please, facts please. I agree that the article is short on factual information and also with what you say Gordon. The problem with Roundup, although a herbicide it contains glyphosate which I’m led to believe damages internal organs and reproductive systems not only of humans but bees too. I too don’t have the facts to hand, however. I agree. This article does nothing to connect the bee deaths to the round-up applications. Also, Round-up is applied all over the world as an herbicide without killing entire colonies of bees. Also, this article implies that the Round-up was applied in excessive amounts BECAUSE the corn was GMO. How do they know it was GMO corn without a DNA test? They are not distinguishable from other strains. THAT is the problem with GMO’s, the consumer no longer has a choice to consume or not consume them. Also, the article tries to blame Monsanto for the problem when the first paragraph says that it was Monsanto’s product that was applied but it was not Monsanto’s field or corn crop but some private farmer who chose to apply the herbicide. Thank you for taking the time to write and post this important feedback. These arguments will only be as good as the credibility they stand upon so it’s best to be water tight! I look forward to the response – and also as a great lesson for all educators and activists. Having been a small farmer with limited crops mostly fruit trees which depend on the polination by bees. Round up was used on my farm for specific species of ground control. We actually brought in honey bees from a beekeeper to polinate our crops and had no problems with the bee population. We were also surrounded by wine grape producers which used round up extensively for ground control below the grapevines. Again no residual problems were seen with the use of the Roundup. However I can see a problem that could result when a crop which does not require bee polination being planted that might completely remove the natural food source for the bees if the crop was as extensive as indicated in the report. The Bees probably starved to death. Over production of a single species of crop in an area could have detremental or possible benefical affect on local species. Example grain crops are very good for rodents and could provide excess food supply and bumper crops of rodents. However when the crop is replaced by a different crop or removed the rodent populaton would fall sharply which could look like something is killing off the rodents when in actuality it was the change of crops.